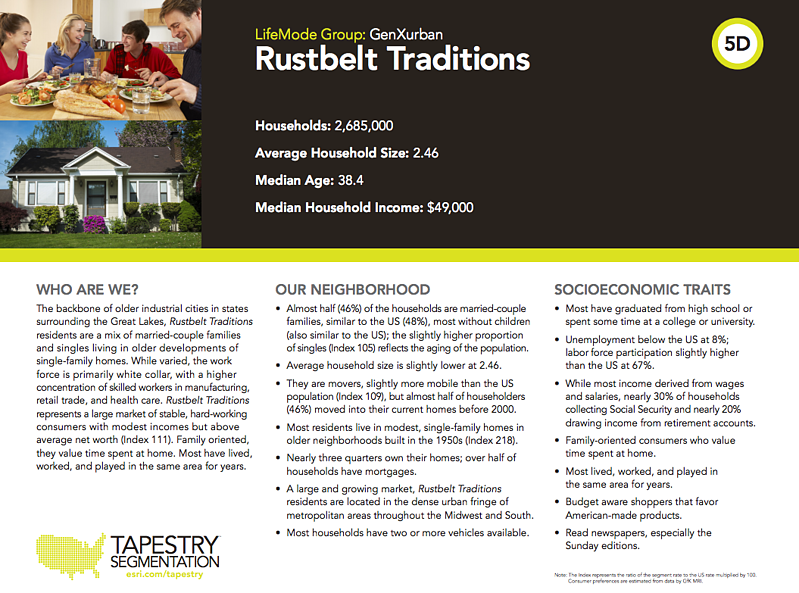 The Gen X Urban LifeMode contains five individual tapestry segments: 5A - Comfortable Empty Nesters, 5B - In Style, 5C - Parks and Rec, 5D - Rustbelt Traditions, and 5E - Midlife Constraints. Households in this LifeMode are generally 38-47 years old, married, living in single family housing, are predominantly white, and make $47,000-$68,000 annually. 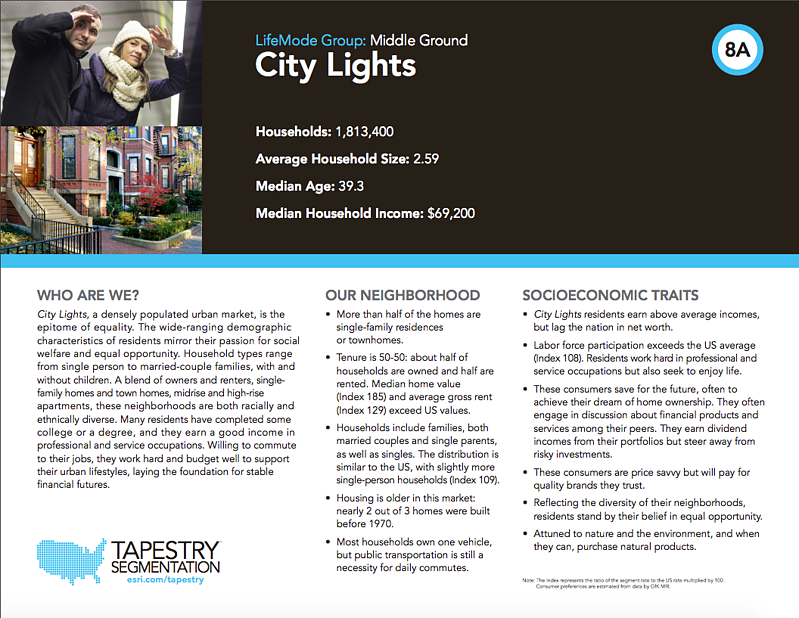 The Middle Ground LifeMode is made up of seven Tapestry Segments: 8A - City Lights, 8B - Emerald City, 8C - Bright Young Professionals, 8D - Downtown Melting Pot, 8E - Front Porches, 8F - Old and Newcomers, and 8G - Hardscrabble Road. 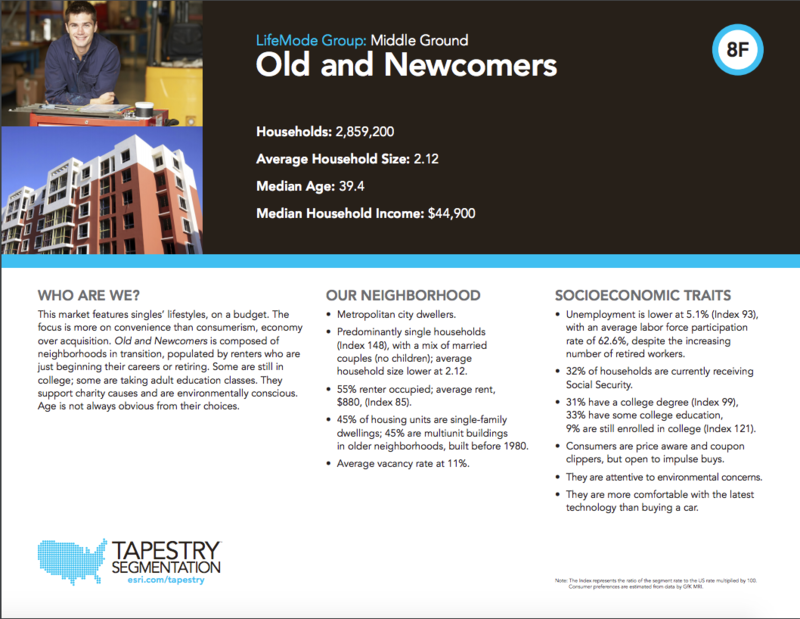 Households in the Middle Ground LifeMode are 32-39 years old; can be single, married, and married with children; live in every type of housing; are black and white; and make between $27,000-$61,000 annually. 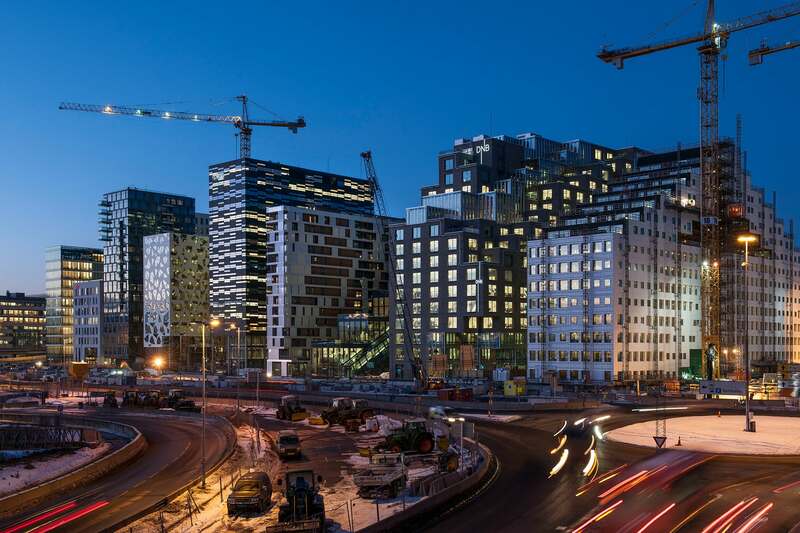 This LifeMode is made up of five Tapestry Segments: 11A - City Strivers, 11B - Young and Restless, 11C - Metro Fusion, 11D - Set to Impress, and 11E - City Commons. 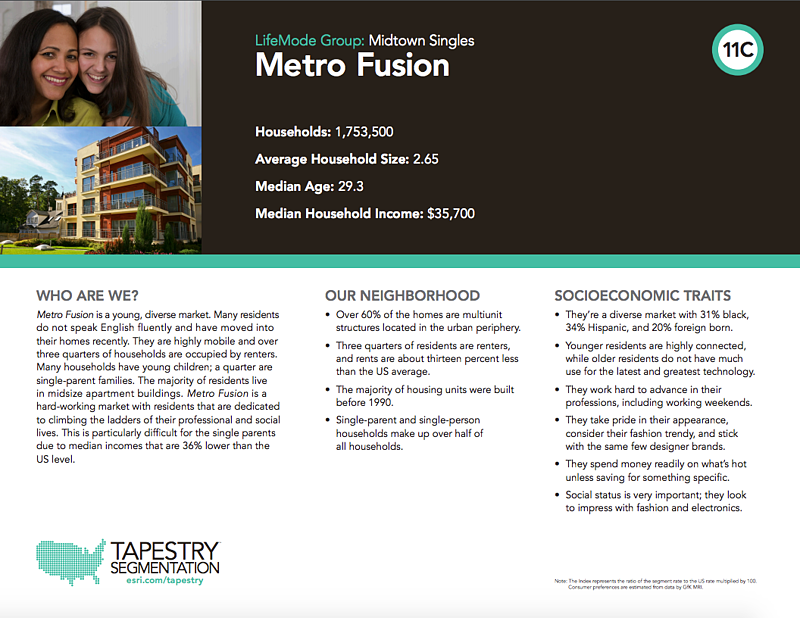 Midtown Singles households are 28-35 years old, are single, tend to rent apartments and houses, are white and black, and make $18,000-$41,000 annually. 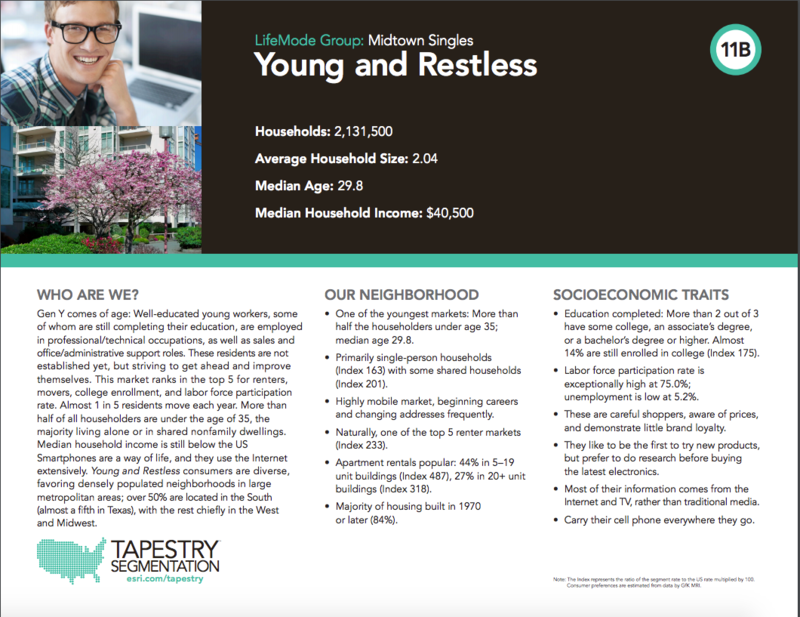 Throughout this series on Tapestry data, we will break out the various Tapestry Segments by LifeMode and uncover what the population that falls into each segment does, where they live, and what drives them. With a more in-depth understanding of each segment, you will be better equipped to serve your existing patient populations and expand your reach within your markets. Since Tapestry Segmentation is so diverse and can be quite different depending on what part of the country you are in, we will break out the segments within the many LifeModes over the course of this series. 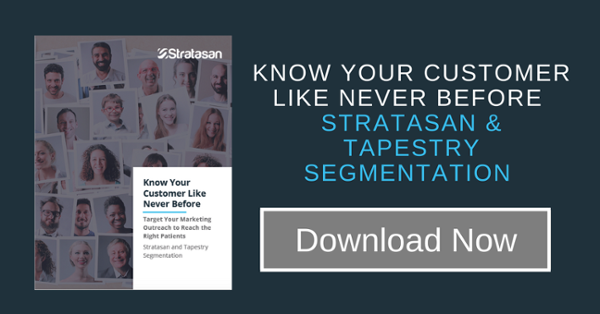 By the end of it, you will be able to identify and interpret the tapestry segments in your market and help coordinate your strategy and/or marketing outreach accordingly.